« An affair of the heart. A very happy new year to you and glad to hear that you are well on the mend.. Heres to a very good 2011 ahead. Welcome back! We’ve missed the news on ‘our’ castle and I’m happy to hear you’re ready to tackle all the tasks that lie ahead! 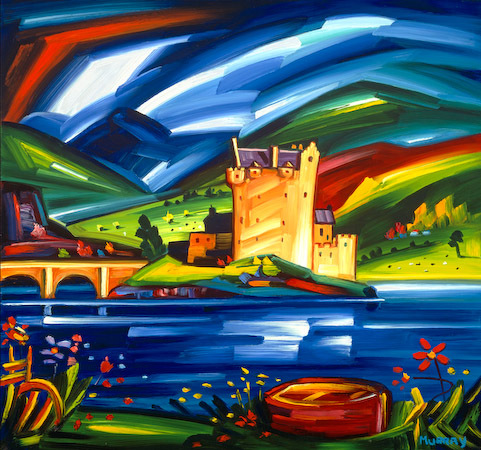 Can you tell us about this FANTASTIC painting of the castle? It’s AWESOME! Cuimhnich air na daoine o’n d’thaining thu! Glad to hear of your recovery – take care. The picture is awesome – who painted it ? Can we get a copy ? What an incredible painting!!! I love it!! So glad, too, that are feeling better. Hello! I’m visiting Kyle of Lochalsh on Valentines day with my boyfriend this month. I was looking forward to visiting the castle but I note that you have limited opening over winter. I see that you’ll be open on the following day, the Tuesday. I wondered if you could notify me of the opening times on the Tuesday as I hope to squeeze in a visit before we make the long drive back down to South of England! Hi Bryony, we’ll be open from 10.00am till 3.00pm. Look forward to seeing you.